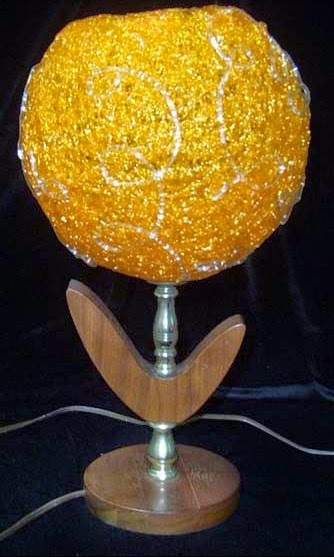 I bought this vintage ugly lamp in a garage sale back in 2005. It was in Canada and I paid $5 CDN (that was about $4 US back then). It sold for $25. It's kitsch but it sold! Yes not only is it brown, this spaghetti lamp is also orange!